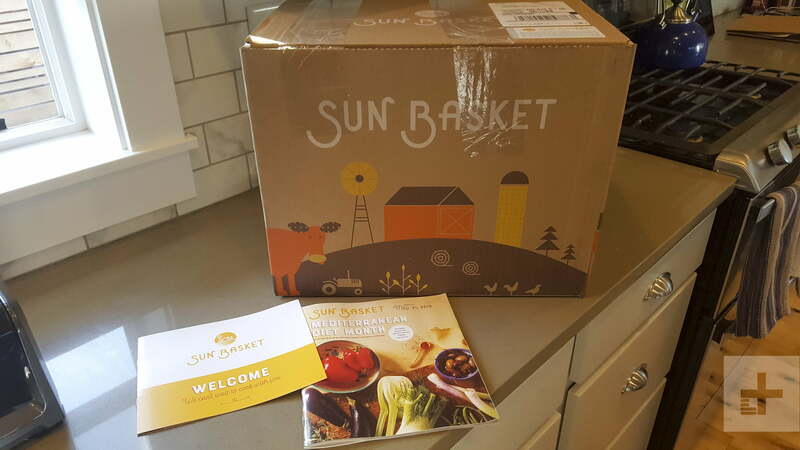 Sun Basket is relatively new to the meal-kit scene, with organic, local choices brought to you from Justine Kelly, a well-known chef who was on the executive team at San Francisco’s famous Slanted Door restaurant. It offers a lot of menu choices beyond the typical steak-and-potatoes fare, including paleo, dairy-, or gluten-free options, and many of the dishes have an Asian-fusion flare. 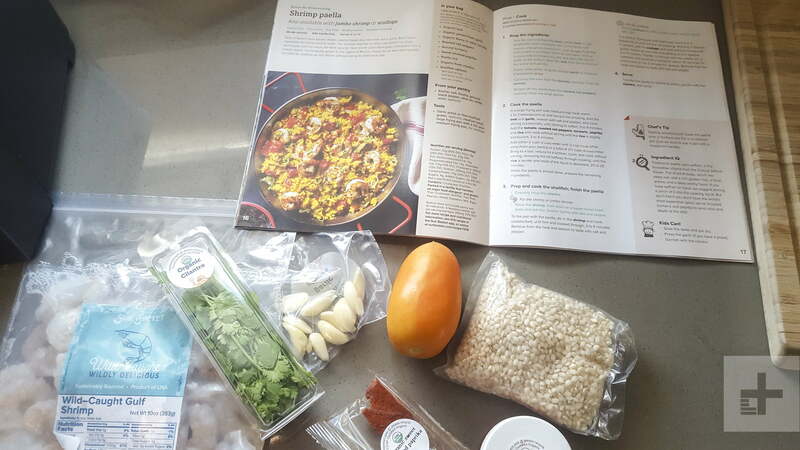 Unlike HelloFresh, which only offers three different plans, Sun Basket offers a whopping 10 different options, including Lean and Clean, Mediterranean, and even Diabetes Friendly. We chose the Paleo option and were happy to discover that we weren’t locked into the option when we wanted to choose some pasta for a change. The protein we received in packages similar to what you’d find in a grocery store. There are 20 rotating meals to choose from. You can customize your options and get two, three, or four meals per week, and have the option of choosing a better cut of meat with many of the meals. For example, you have the option of upgrading from a rib eye to filet mignon for an extra cost. Sun Basket costs a bit more than other plans, with meals starting at $12 per person for two with three days per week delivery. The box of food arrived on the day it was promised (you get to pick the day you want it delivered), with three labeled bags of ingredients on top and a foil-lined, ice-packed bottom where our meat was located. A recipe magazine tucked inside featured all the recipes for the week, so you have to look at the table of contents to figure out which page to turn to when you start. We liked this booklet approach, as it seemed more like a recipe book than just a piece of paper with a list of steps to follow. The protein we received in packages similar to what you’d find in a grocery store, although there wasn’t a freshness date, which would have been nice to know. The produce looked good for the most part, although one time we had to throw out tomatoes and cilantro that looked brown. Another time the fish sauce for a recipe was omitted and we didn’t have any on hand, so we had to just go without. Overall, Sun Basket meals are a lot of fun to prepare, much more fun than HelloFresh because the flavor combinations are more interesting. Often we would open a bag to find seemingly random products (like blueberries, rosemary, and honey, for instance) and thought to ourselves, “Will this really go well together as a sauce?” Answer: Definitely. We like how the steps are laid out in a simple fashion, and are easy to follow. Even our son got in on the cooking action a couple of times (the booklet offers simple suggestions for kids to help, like tearing basil, crushing nuts, or shucking corn). Some of the recipes are uncomplicated and delicious, like the SoCal Fish Tacos and the Seared Pork With Blueberry-Apricot Sauce. Others require additional steps or we just weren’t fans of, like the Burmese Coconut Curry. 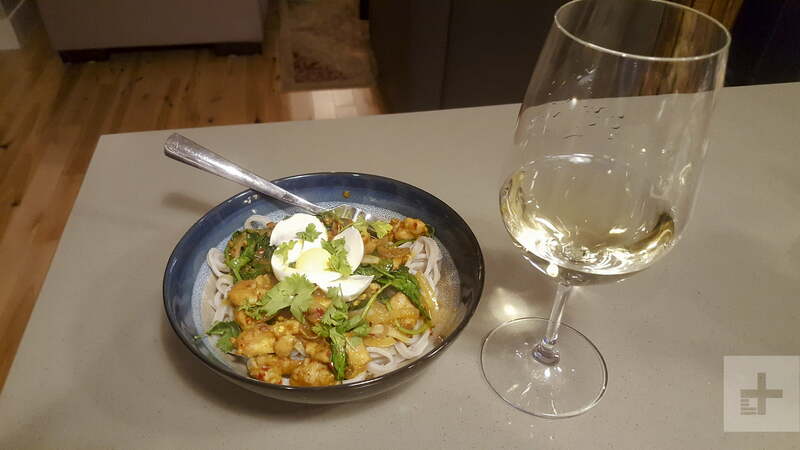 We don’t know if it was because of summer or what, but unlike HelloFresh, not a single dish required the use of our oven, which we were happy about. It made things a lot easier. While portion sizes are decent, sadly, don’t expect any leftovers. You can skip delivery weeks as many times as you want, as long as you do so by Wednesday of the week before. Optional text message or email reminders make it easy to choose your meals – but if you forget, you’ll get default options you might not like. There are 20 meals to choose from each week, and they rotate so you don’t get tired of your choices. 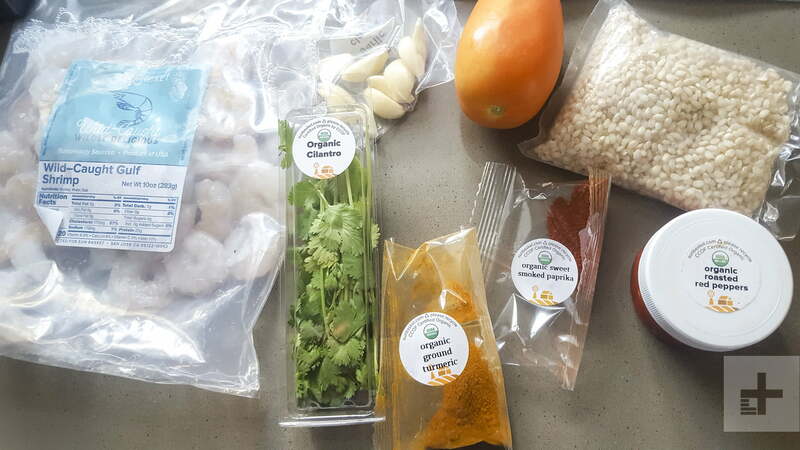 Cancellation was much clunkier than we’ve experienced with other meal kits. Instead of a cancellation button on their website, you have to request to cancel via email. After doing so, we got an email two days later telling us that they’d suspend our account for us for three months, and then we can decide then whether to cancel. We sent them another email informing them that we wanted to cancel now, and they responded with a cancellation confirmation. 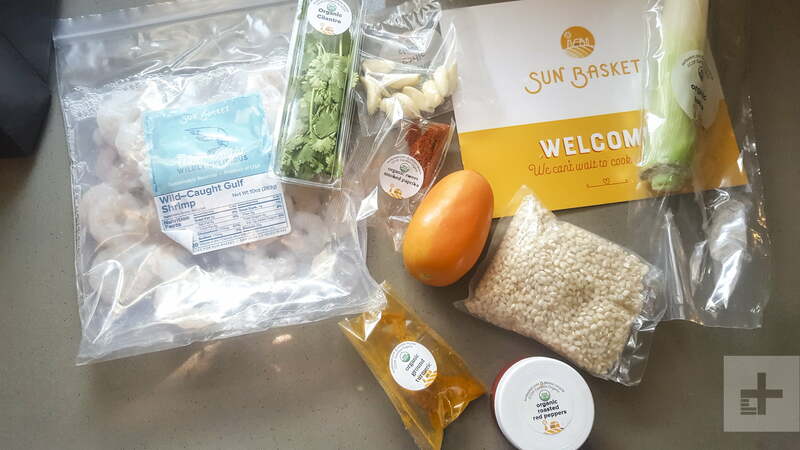 We really like the different flavor profiles of the Sun Basket meal kit, as well as the ease of instructions. Unlike other meal kits, it seemed like less of a chore to prepare the meals, and the directions were easy to follow. We would have preferred to just cancel with the click of a button like with HelloFresh. 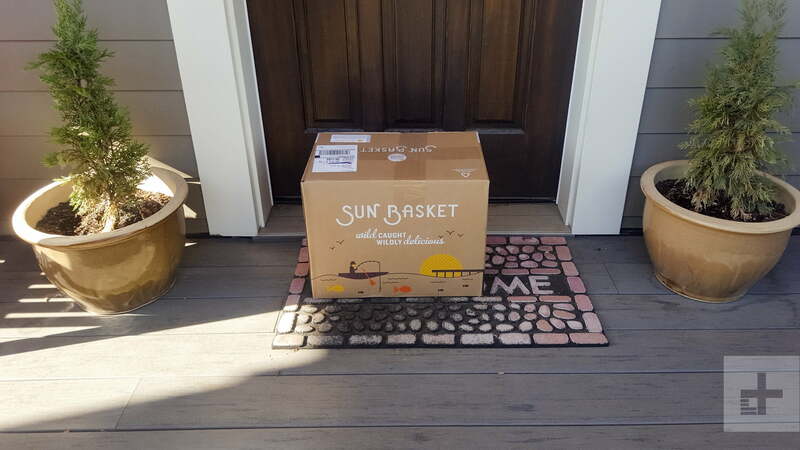 Still, though, we recommend Sun Basket. The meals were tasty and easy to prepare and didn’t require the use of the oven, which makes the whole process easier. Microwave ovens are super convenient for making popcorn or reheating coffee, but nuking food isn't always a good idea. Warming up leftovers is often OK, but microwaving many popular food items destroys the taste and texture in a hot minute.